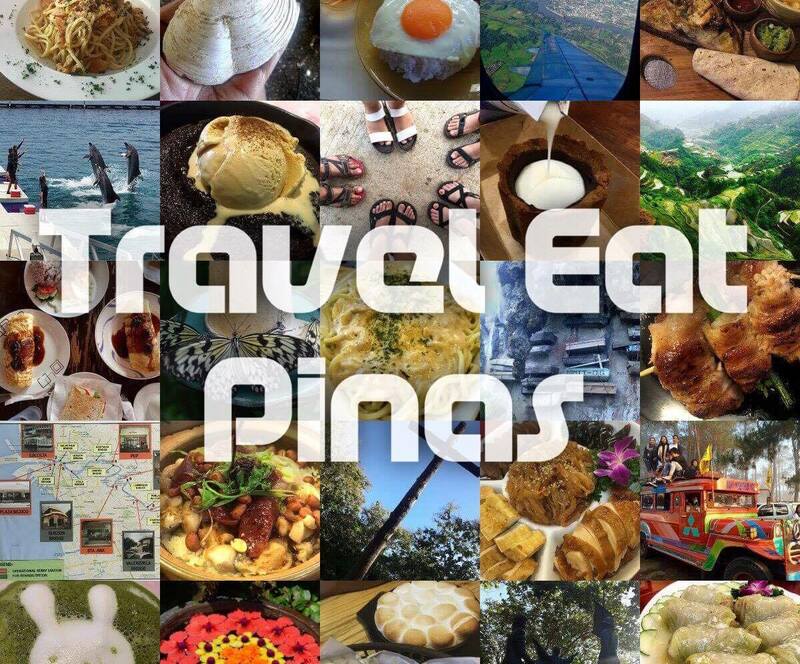 For Travel Eat Pinas, the weekend means adventure and the best way to satisfy our craving for such is to go to the extreme Zipline Park in the Philippines known to all as Tree Top Adventure. 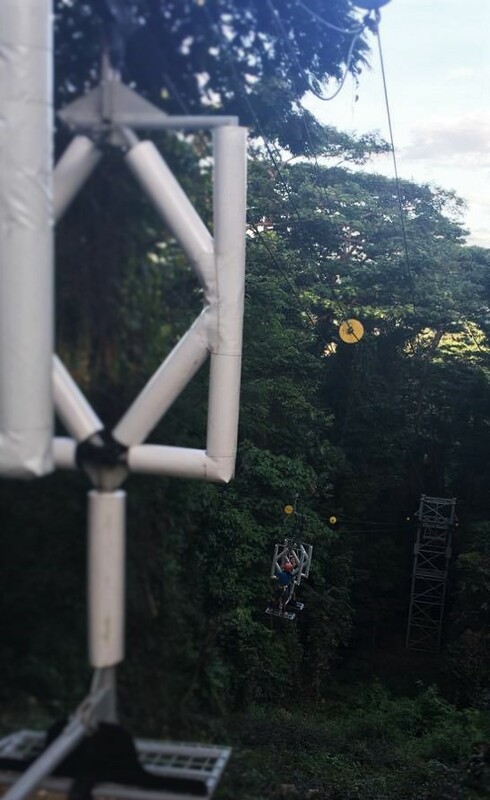 Tree Top Adventure is a Zipline Park in the Philippines with two branches in Luzon. The first one is in the Northern part, Baguio City, and the second is located in Central Luzon, Subic Bay Free Port Zone, Zambales. 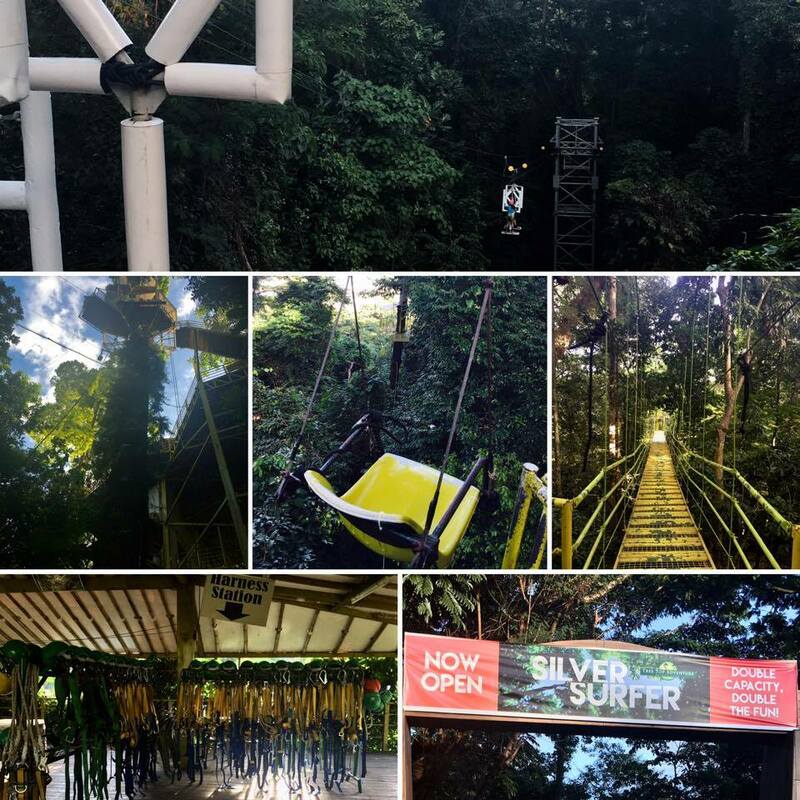 Since Zambales is near to Manila and Travel Eat Pinas want to explore the virgin forest of Subic Bay Free Port Zone, we decide to head to Tree Top Adventure, Subic. 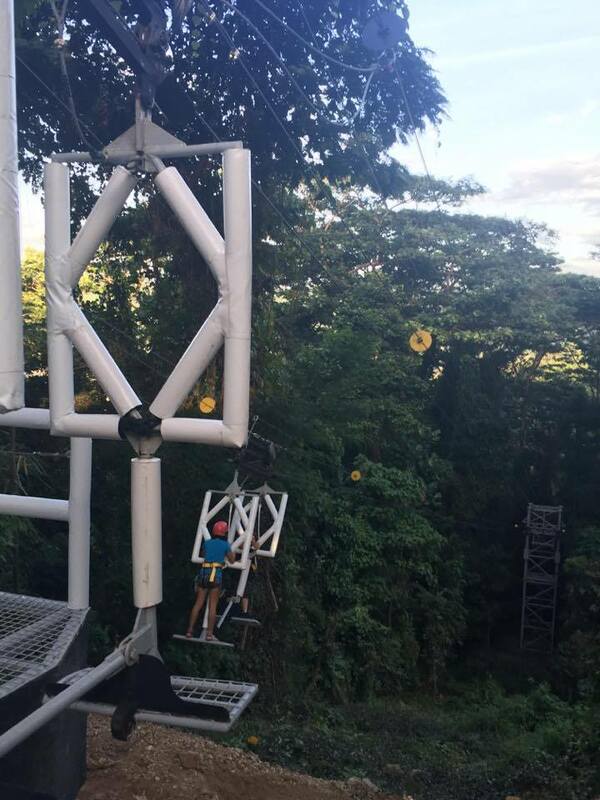 Tree Top Adventure, Subic is located at Jest Area, Upper Mau, Cubi Point, Subic Bay Freeport Zone. 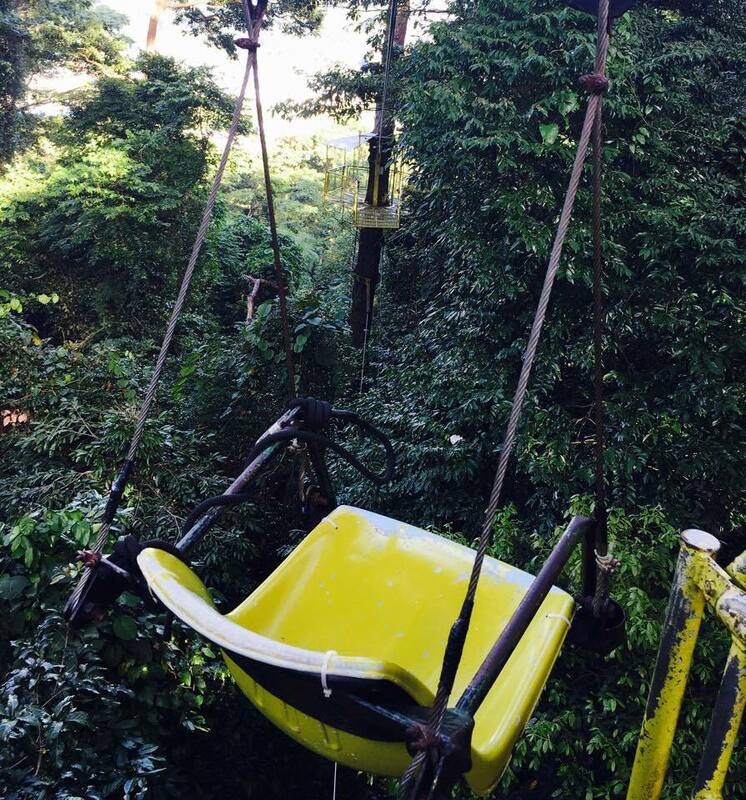 To go to Tree Top Adventure Subic, you can either use your car or take a bus. If plan to use your car, it will be a 3-hour drive from Manila to Subic via North Luzon Expressway, NLEX, and Subic-Clark -Tarlac Express, SCTEX. Toll Fee from Balintawak (Manila) to Tipo-Subic Expressway will cost you PHP 408 or USD 8.21. If you plan to ride a bus, you can ride in either Pasay or Cubao terminal station going to Olongapo. A bus ride from Cubao going to Olongapo via NLEX-SCTEX will cost you PHP 232 or USD 4.84 and Pasay to Olongapo via NLEX-SCTEX will cost you PHP 245 or USD 5.05. From Olongapo City bus terminal take the yellow jeepney going to Subic Bay Freeport Gate. From the gate walk until you reach the Central Terminal and ride a van going to Tree Top Adventure. A huge arc with Tree Top Adventure signage surrounded by luscious trees welcomed us in Tree Top Adventure. 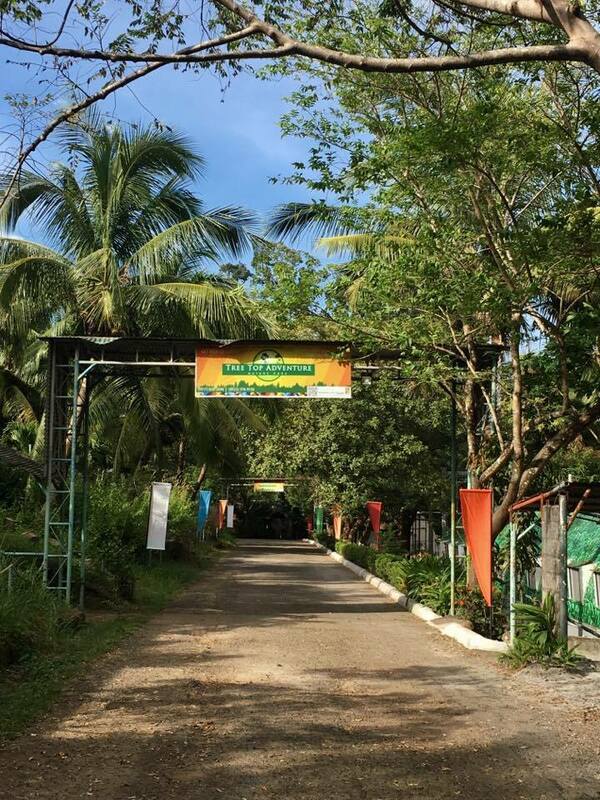 We went straight to Tree Top Adventure's lobby and were warmly greeted by their friendly and accommodating staff. Arch that will lead you to Tree Top Adventure deck. Every adventure starts with orientation. One of the tour guides gave us some brief introduction about Tree Top Adventure and the rides that we can choose from. According to him, there two kinds of Zipline rides in Tree Top Adventure- slow and fast paced. Slow-paced rides are intended for those who want to enjoy the scenery of Subic Bay's virgin forest while the fast rides are for those who are looking for some exhilarating experience. List of fast and slow rides with trekking schedule. 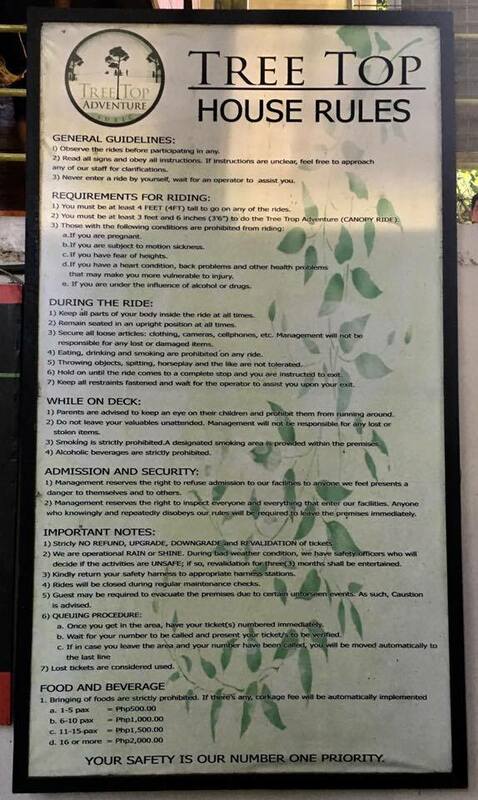 Rules that every guest should follow at Tree Top Adventure. We started our Tree Top Adventure slow by riding their Canopy Ride. 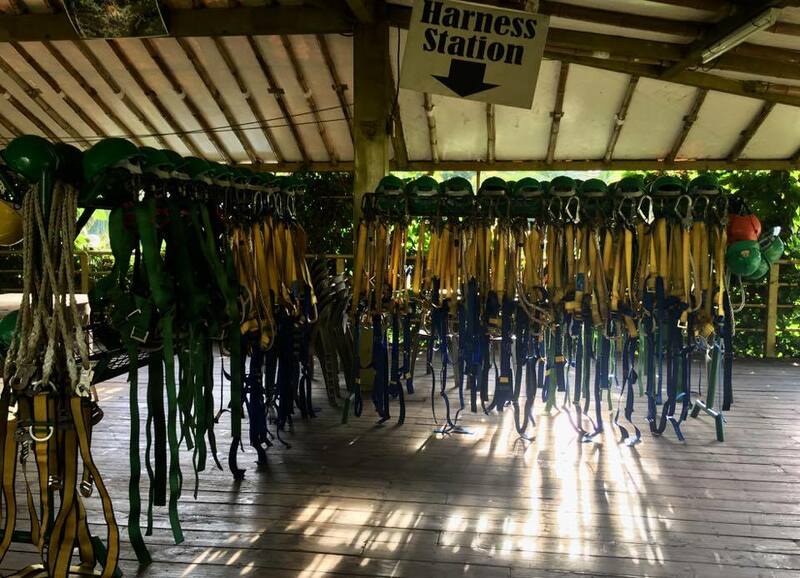 As part of their safety procedures, we wore Tree Top Adventures' safety harness. 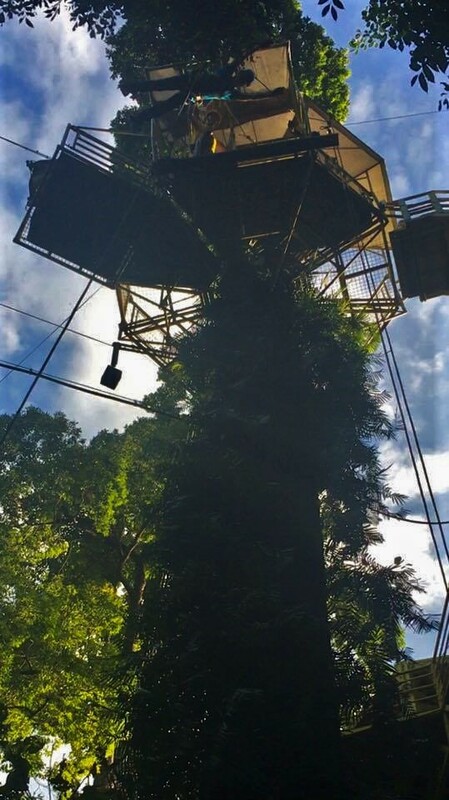 The Canopy Ride is a motorized cable ride that let us swing through five different trees 100 feet above the ground. 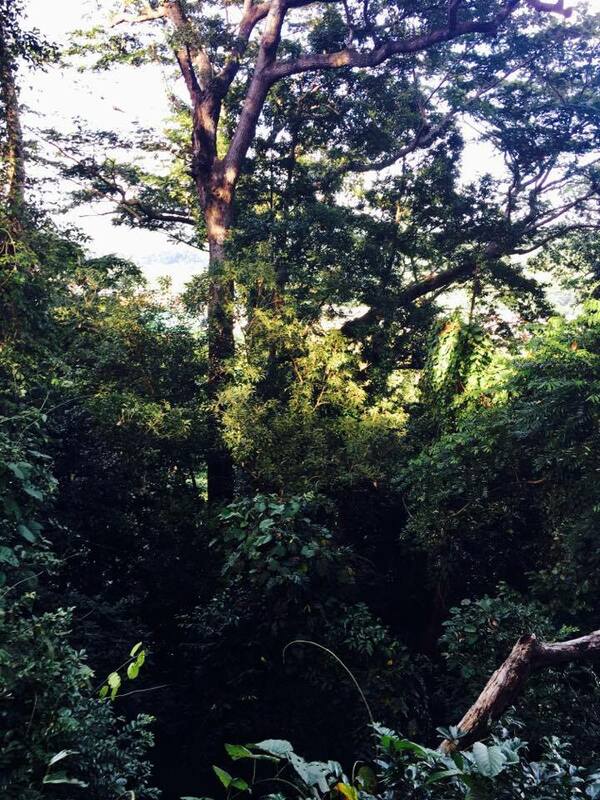 Canopy Ride made us appreciate the beauty and peaceful silence in the forest. 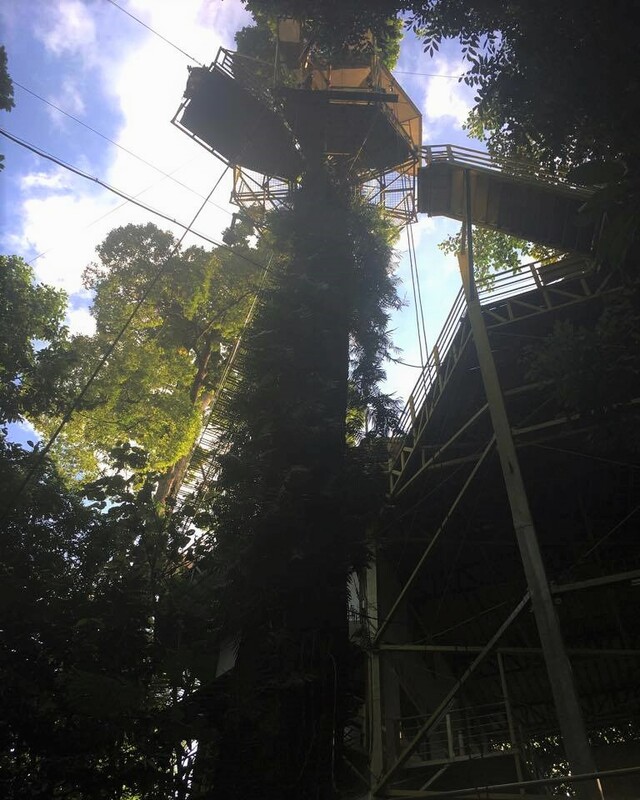 Harness that guests wear as part of Tree Top Adventure's safety procedures. Canopy ride will swing you from one tree to another at a slow pace. 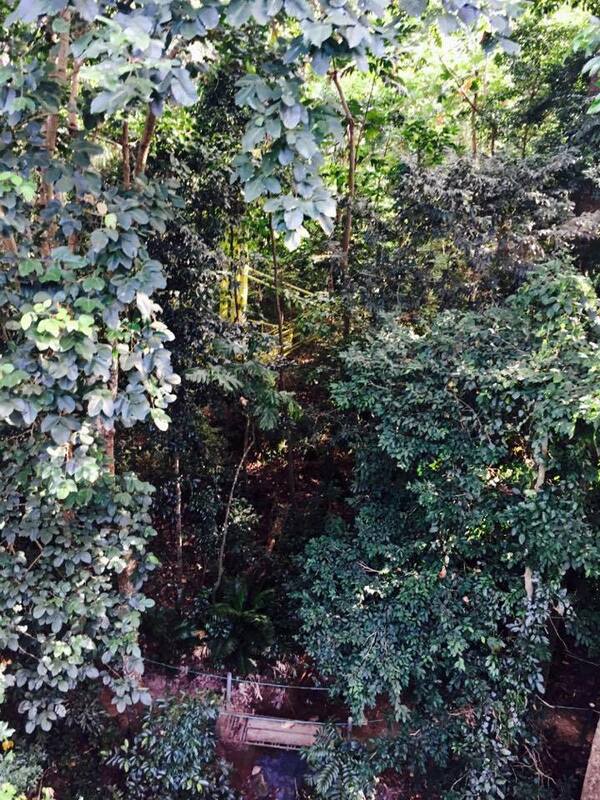 View of the forest while riding the canopy. 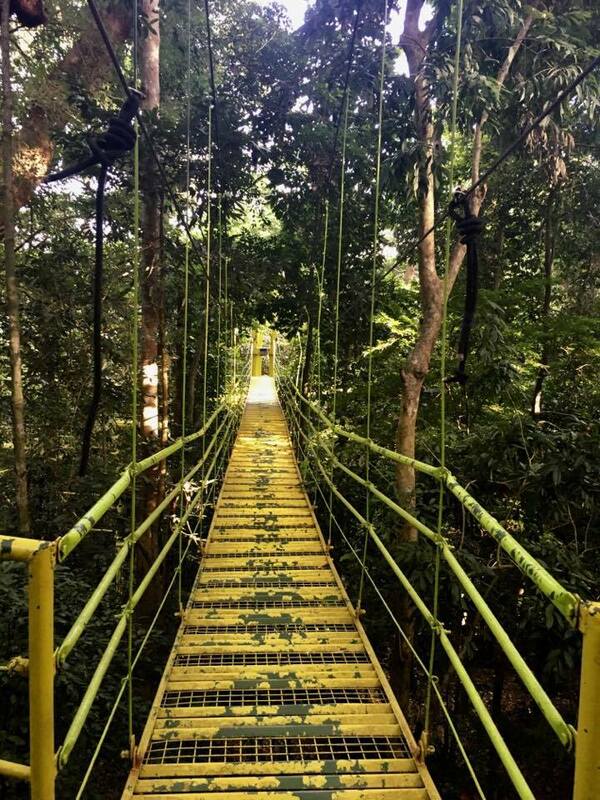 After the Canopy Ride, we went back to the deck and walked on the hanging bridge that was surrounded by big luscious trees. One of the hanging bridge that you need to pass by when you go back to the deck. Upon arriving at the deck, we decided to take the fast rides and for Travel Eat Pinas, the best way to start it is by doing the most extreme ride- TREE DROP. Tree drop from this 60 feet tree. The guides geared us with the harness and some safety kits while discussing to us the things that we need to do and should remember during the tree drop. There are four steps that we need to accomplish before the actual dropping starts. First is to hold the pole then sit, let go of your feet in the air and the hardest part, is to let go of the pole. The guide will cheer and talk to you to keep you calm and sane until they surprisingly drop you on the 60 feet tree and all that you can do is SCREAM but I am telling you, once you're done with this ride, you will ask for another one! Since we conquered the Tree Drop Ride and felt like a Super Hero we walked up the hill and try Tree Top Adventure's Superman and Silver Surfer ride to complete the Super Hero feeling. Signage going to Superman and Silver Surfer Ride. We tried the Superman Ride first. For the Superman Ride, you have the option to ride it by yourself or with a companion. We flown in the air like Superman, the difference is that we did it backward first then forward and every time we go back and forth the tower, the speed of the ride intensifies. You can ride solo or with a partner in Superman Ride. 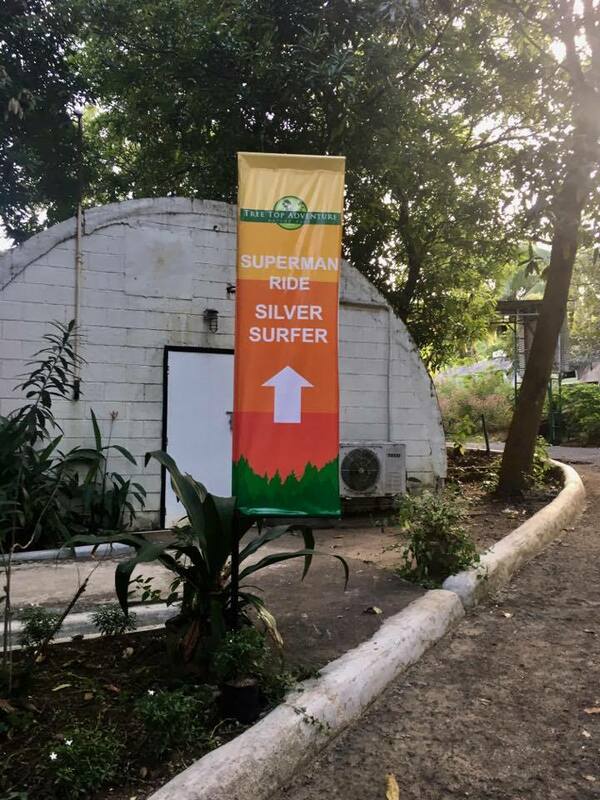 Last November 19, Tree Top Adventure launched their modified Silver Surfer ride to the public and media but a week before the launch, Travel Eat Pinas tried this much-awaited ride. Like the Silver Surfer, this ride will let you surf in the air from one tower to another. At first, we thought that this ride will be as simple as that, but we are WRONG. The Silver Surfer ride will, yes, make you and your partner surf in the air as it swings you when you reach the other tower, but as you go back and forth, the speed and the swing intensifies and oh, it will not just swing, it will also bounce up and down. Surf from one tower to another with your partner at Silver Surfer Ride. As you reach the tower the Silver Surfer ride will sway and make you bounce. 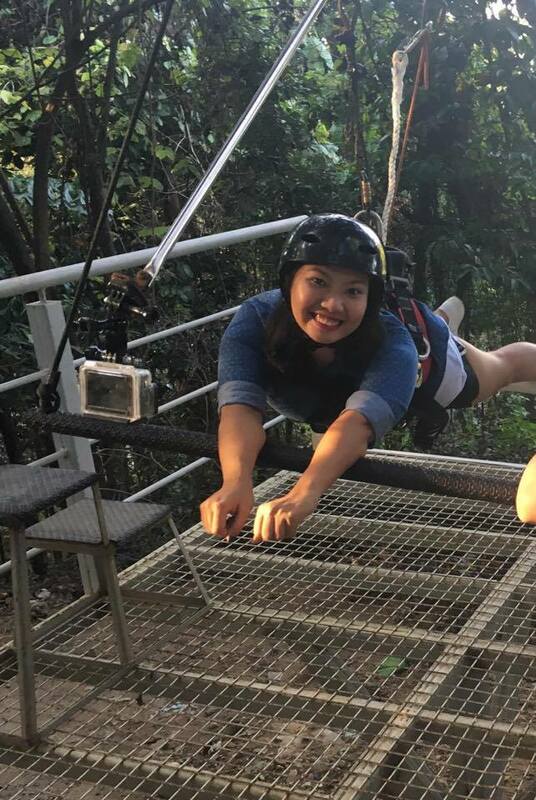 Tree Top Adventure did satisfy Travel Eat Pinas' craving for adventure, thrill, and fun with their Zipline rides that made our heart skip a beat, scream and most of all enjoy the beauty of the forest and its peaceful ambiance. 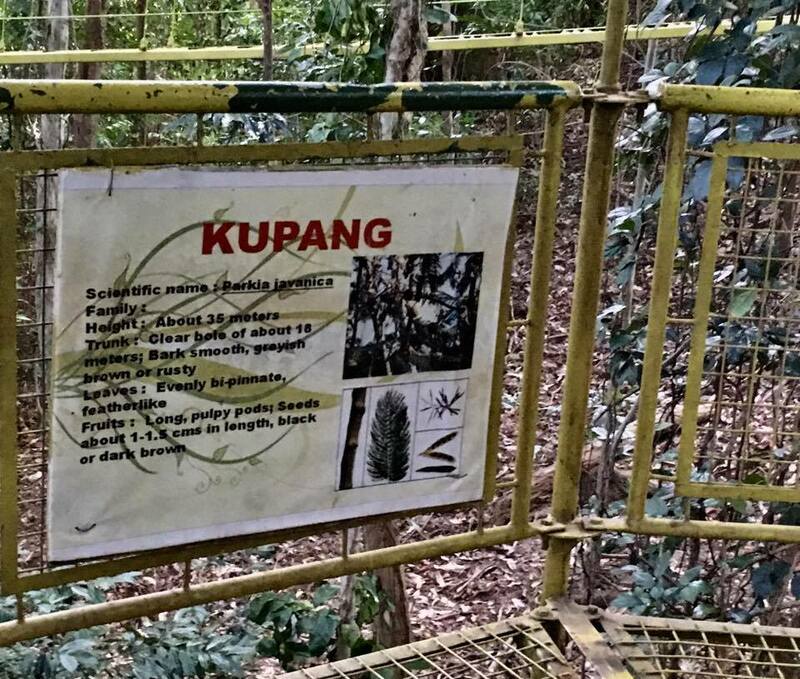 What we also love about Tree Top Adventure is that it can provide its guest the exciting forest journey with the Zipline rides and trekking while conserving the natural state of the trees. Tree Top Adventure uses a tree trunk mechanism that will not harm the trees. Aside from that, we were able to learn about the trees around the park by reading the signages placed in different towers. Details about different kinds of trees are placed in the tower to educate the guests about the different kinds of trees in the forest. 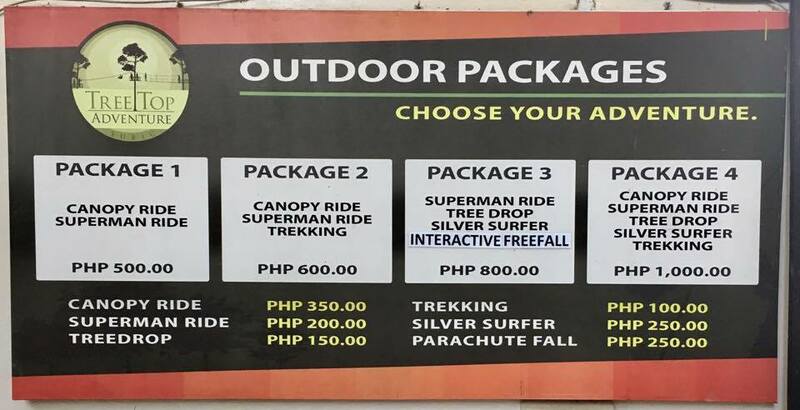 Tree Top Adventure is open from Monday to Sunday 8:00 AM to 4:30 PM and provides different packages that will match the guest's taste for adventure. Hi! Do they allow you to bring camera like go pro during the ride? Hi Jerlyn. Yes they do and they also have one installed on every ride that guests can use.